Quinoa and Broccoli Slaw | My Cooking Diaries "CooklikeCecilia.com"
Whisk all ingredients for dressing in a small bowl and set aside. Wash Quinoa, add 1 cup of water and cook till water is absorbed and quinoa is light and fluffy. You will see a tiny ring in the centre of each grain. 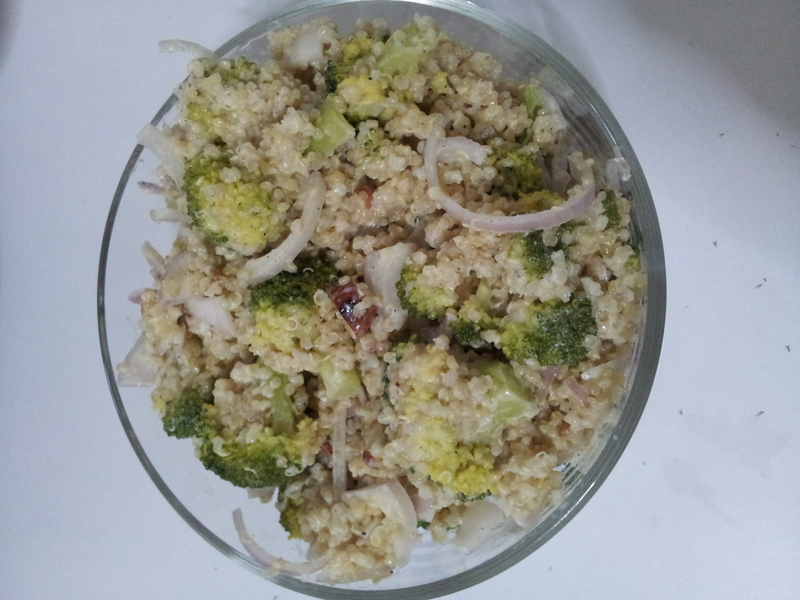 To prepare the slaw, in a large bowl, combine the broccoli, quinoa and onions. Pour the dressing over the slaw and toss well to coat. Add the chopped almonds and toss gently. Season with salt, pepper and let stand for 15 mintues to let the flavours fuse together. Refrigerate, if desired.